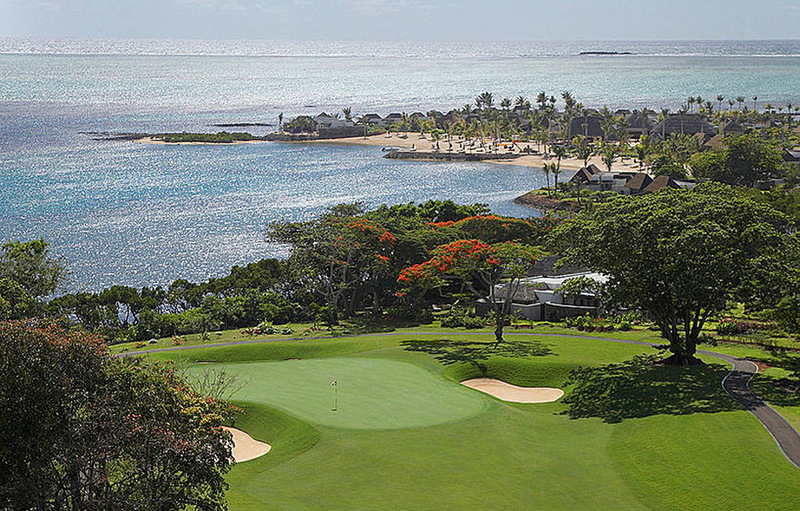 There is nothing quite as breathtaking as playing a round of golf against the idyllic backdrop of the natural splendour that is the island of Mauritius. From the turquoise Indian Ocean to the lush, tropical vegetation it is easy to see why you’re in paradise. 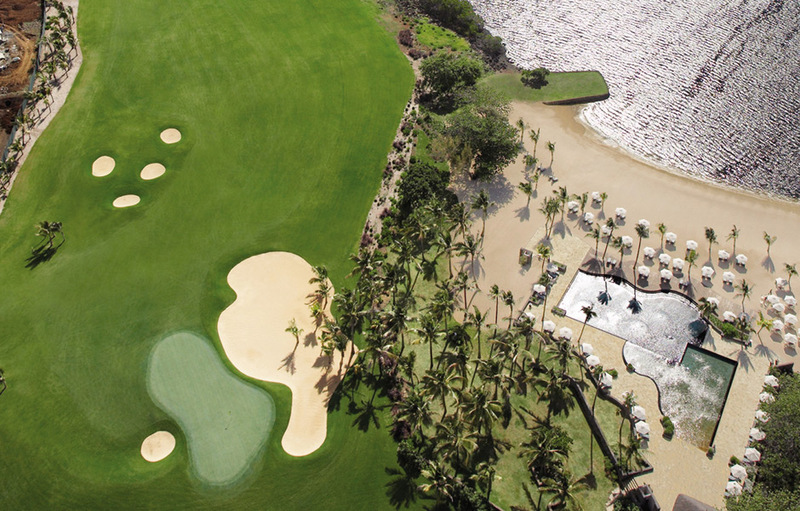 Ernie Els took great care when he designed the Anahita Golf Course which opened in 2008. This 6,741 meter, 18-hole, par 72 championship golf course has large fairways featuring five sets of tees (Ernie Els, Tournaments, Members, Seniors and Ladies.) 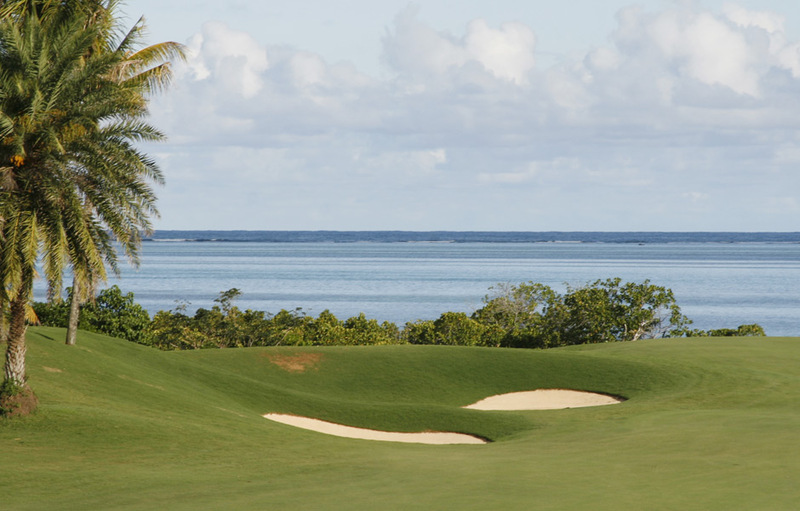 Holes 16, 17 and 18 are ocean-front holes providing heart-stopping vistas of the spectacular Mauritian coastline. You won’t want to rush your final shots, as the 18th hole is one of the most beautiful you’ll ever have the privilege of teeing off on. 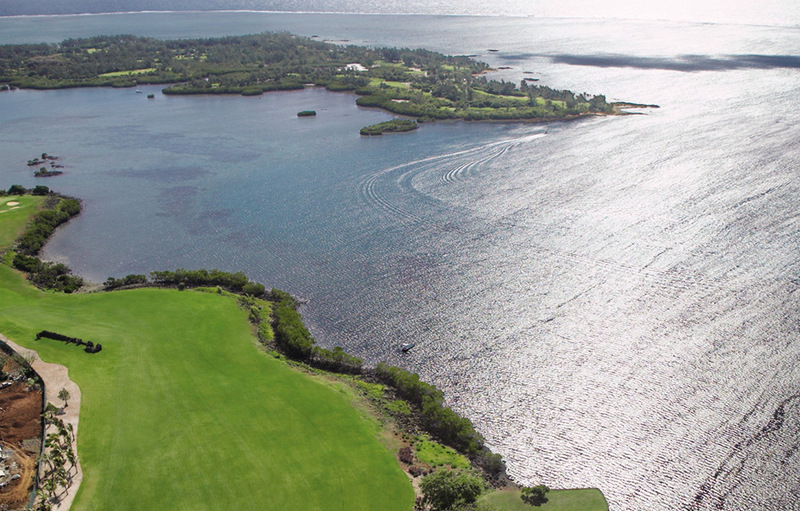 Anahita is built to USGA standards and weaves its way between the lush mountains and the crystal clear lagoon. The challenging course design has something for everyone, whether you’re playing a full 18-holes, or merely warming up on the 300 meter practice range or perfecting your technique on the putting and chipping green. 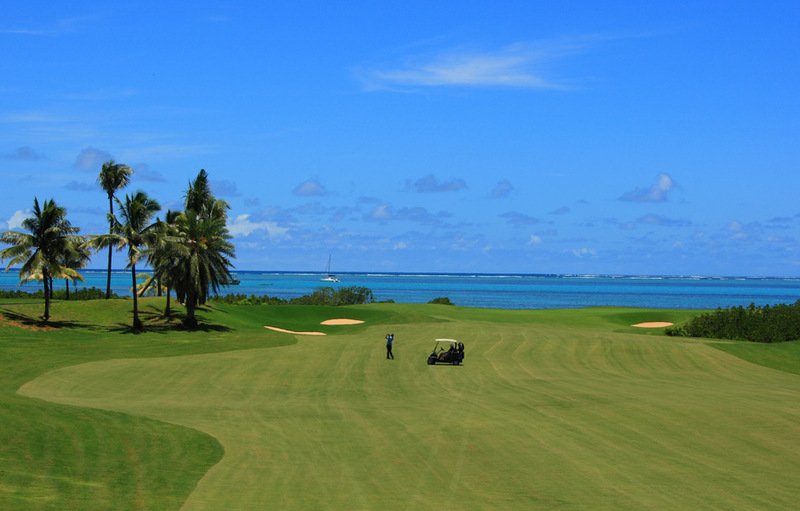 The Mauritian-style clubhouse includes a Pro Shop, restaurant, bar, locker rooms and a 200 square meter fitness centre. Group and private lessons are available. 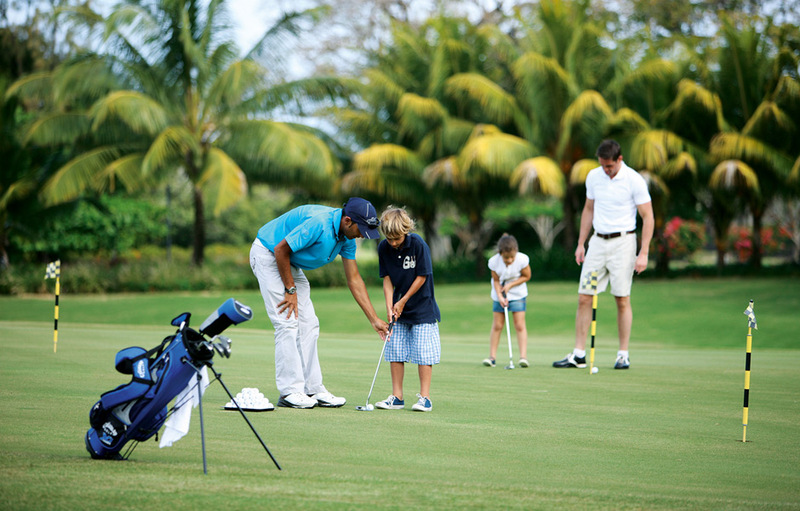 The Four Seasons Golf Academy offers a holistic approach to game improvement, covering all aspects of the game. The studio also provides the ultimate in video and computerised swing-analysis systems.